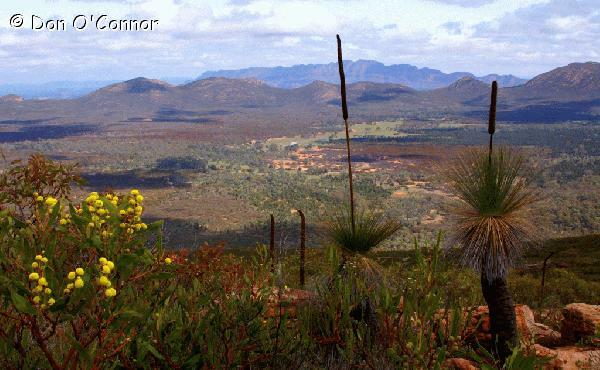 Taken from the top of Mount Ohlssen Bagge in the Flinders Ranges National Park, South Australia. This shows a large part of Wilpena Pound. In the distance is the Elder Range.